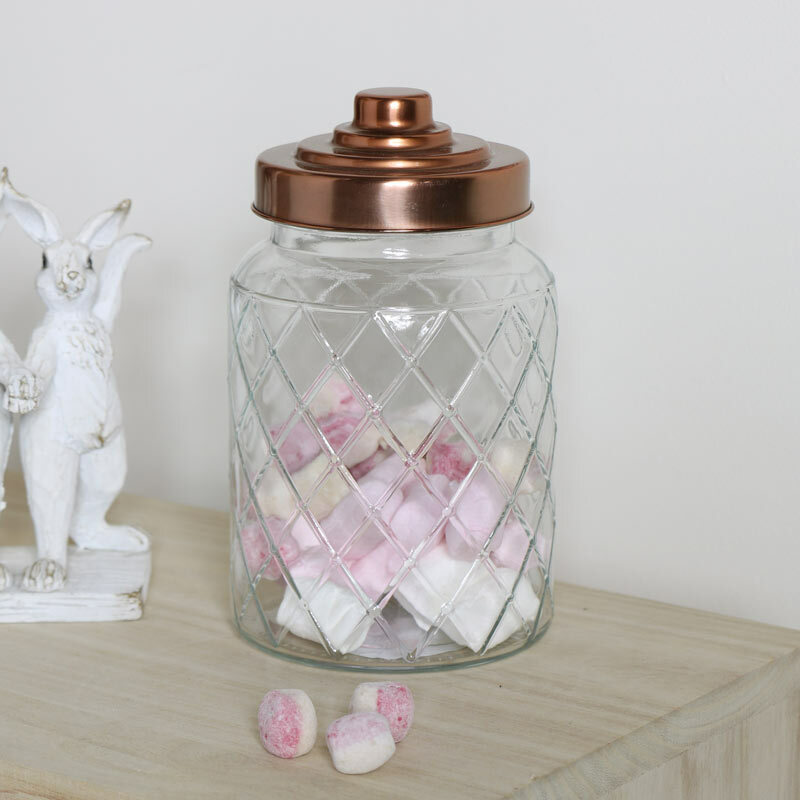 Stylish storage solution in the shape of a decorative glass jar with copper lid. Great for use as a sweety jar, cookies jar or storing other sweet treats or cosmetics. Decorated with embossed diamond detailing surrounding the body of the jar with a round copper screw on lid for keeping the contents airtight. 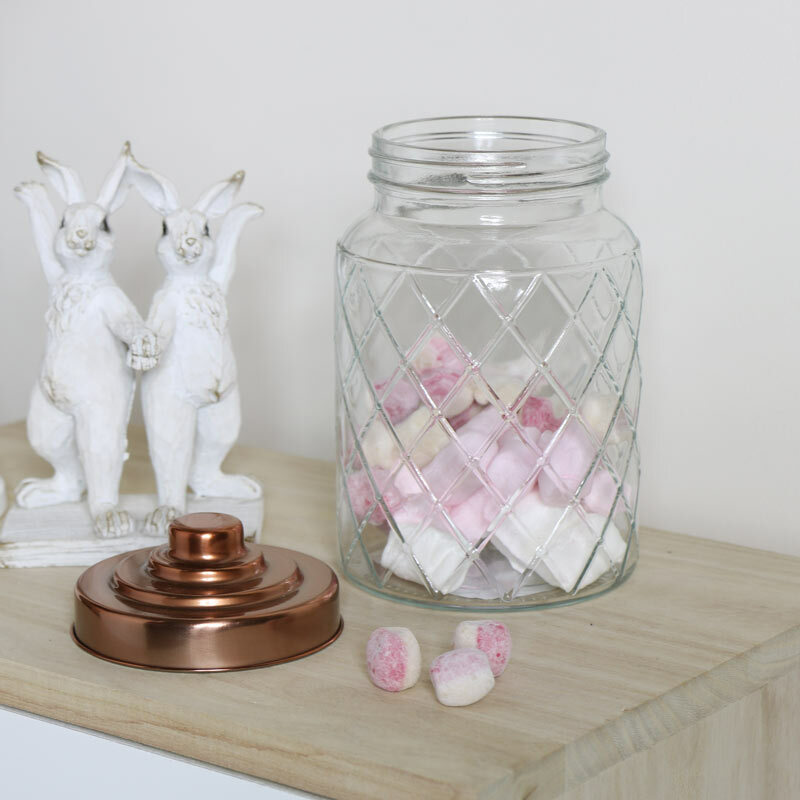 Copper tones are so popular and a fantastic way to add some colour to your decor. 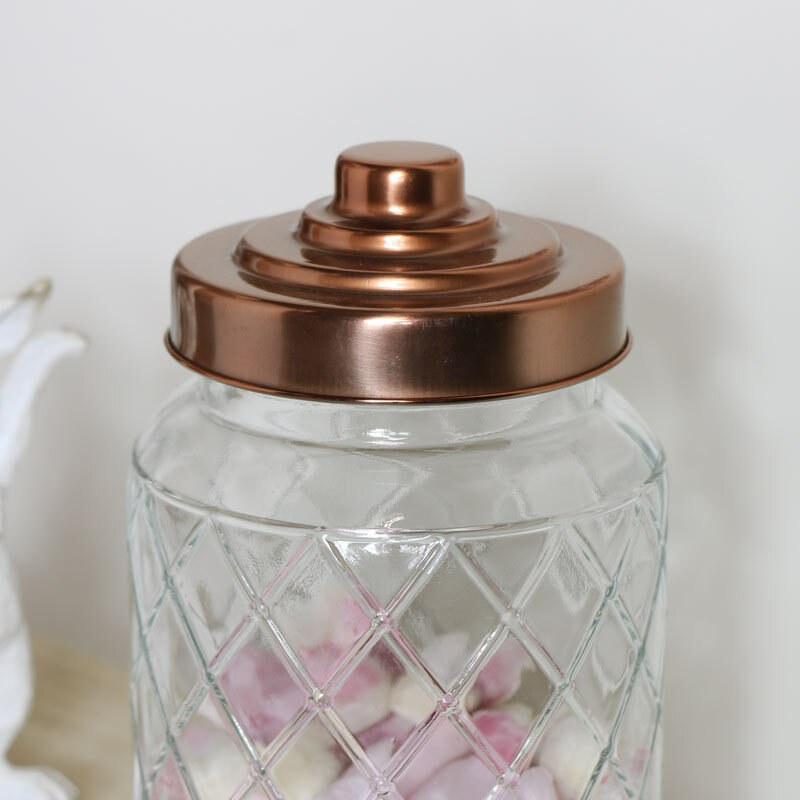 Round jar made from glass with embossed diamond detailing and copper tone metal lid. Make your home beautiful with our fabulous range of gifts and home accessories.